This is an article by Desteni, published May 9 2007. Responsibility – I have discovered the lengths and the extent to which each and every single being within existence must be willing to go to be able to bring forth the experience of heaven on earth within existence and to have such a creation remain here as who we are infinitely so. Recently we have discovered the underlying existence of a fascinating application which has been one of the most prominent problematic manifestations within consciousness – affecting the transcendence of self as who we really are to never have the ability to stand up for all as one and equal into infinity to experience and express who we really are. The application of denying responsibility for existence as self as who we are – justifying such a standing of self as not becoming an expression as who we are , by placing the blame upon others separate from who we are. To place into perspective the words I have spoken I am explaining my experience within heaven after investigating this one prominent problematic manifestation within consciousness. Which, if not transcended by each one individually will result into infinite enslavement and control within consciousness. And all beings within existence who did not stand up and take responsibility for existence as one and equal with who they are when the opportunity arrived will have to stand within infinity and face themselves to explain the reason why they did not unconditionally stand up and take responsibility for all as one and equal to bring forth the experience and expression of heaven on earth as who they really are. There are only two choices each being within existence have in every here moment with every breath: Either consciousness as the old world of enslavement and control or awareness as the new world as heaven on earth within and as oneness and equality. The world within and as consciousness will inevitably cease to exist, choosing consciousness would result to an experience of immense hardship and pain – you’d experience a process which I’d not recommend to be experience d by any being within existence. The experience when consciousness as the old world of enslavement and control is chosen will manifest to such an extent where one will inevitably have to make the choice for the new world as heaven on earth here in every moment within and as oneness and equality. The choice for heaven on earth here in every moment within and as oneness and equality will be made by each one within existence – either here in every moment or inevitably at the end of a grueling and struggling process of immense frustration, pain and suffering. Either way – it must and will be done by all beings within existence – because the new world as heaven on earth here in every moment as who you are within and as oneness and equality is the truth in manifestation and expression of who you really are. If you deny or resist this expression and who you are in every moment – fighting against it – it will persist. Existence as who you really are will do anything and everything in its power as who you really are until you finally make the choice to stand up and take responsibility for all as one and equal in every here moment. Returning to my investigations within the dimensions: What I am about to explain will support many beings within existence through and during their process of standing up and taking responsibility for all as one and equal to bring forth the manifestation and expression of heaven on earth as who we really are within existence. I once more returned to the moments of my experiences as Jesus in the beginning. I returned to the beginning before I manifested here on earth and walked the path with human beings to once again reveal and show to them the oneness and equality as who they really are as I am – my primary application once I manifested here on earth as a dimensional being moving and walking amongst human beings so they may return to the standing up and taking responsibility for all as one and equal as who they really are as I am through my example. I have now realized the mistake I had made – the mistake from the perspective of not realizing that my words and my actions as deeds amongst human beings on earth were interpreted as separate from who I am and not within and as oneness. The importance of the reason why I came to earth was as the living word as who I am as each are – my specific actions as deeds were but a manifested example of who I am as the living word. My actions as deeds while here on earth were but the manifested creation as the result of the power of who I am as each are as the living word. The emphasis was never intended to be placed upon my actions as deeds or the picture I presented for a moment while here on earth moving and walking amongst human beings. I manifested here on earth as a dimensional being as the living word as who I am as each are. The human beings I moved amongst and gathered with me to walk with me as one and equal as who I am as they are as the living word – looked only at my actions as deeds and the picture I presented in human physical form and did not hear my words as the living word as who I am as they are. This in turn resulting into separation as their human eyes were focused on the picture they perceived as who I am which had gone hand in hand with the actions as deeds I applied and expressed as who I am as the living word. It was never about my actions as deeds amongst human beings on earth. No, it was about the living word as who I am. Because the living word as who I am was not heard by the human beings amongst me as those that have gathered around me – they perceived only the picture as the perceived representation of who I am which had gone together with my actions as deeds as I walked on earth. Before I manifested here on earth as a dimensional being I stood as the living word as who I am – the living word as who I am is all that existed within me as me. Because I stood as the living word as who I am – I perceived all beings within existence to be experiencing themselves in the exact same way – as the living word as who I am. For all every being within existence ever had done was communicate as the living word as who they are. The importance of the living word as who I am while experiencing myself within the dimensions before I manifested on earth – was not yet completely understood of the immense responsibility and standing within and as the living word as who I really am into infinity within and as oneness and equality. I only realized the absolute nature and importance of the living word as who I am as equal and one with each being within existence during my experiences on earth. This includes me in this moment before I manifested on earth – still moving within the dimensions communicating continuously with dimensional beings when specifically approached. What I experienced as myself as who I am within the dimensions before manifesting here on earth was the following: I am here, here in every moment and many beings would walk up to me and ask me multiple questions of their individual experiences and expressions of themselves which they did not entirely understand. In this moment of answering a beings’ question I would unconditionally speak. In one moment the living word as who I am would flow from within me as me as who I am. What I would say in every here moment, I did not know, I never prepared to speak or communicate specific words and I never knew what I was going to say the next here moment. I merely unconditionally spoke and communicated with beings in every here moment as the words flowed from within me as who I am. The trust in myself as who I am as the living word was quite extensive to be able to communicate words in every here moment with no indication of what exactly it is I am about to communicate. The experience of myself as the living word in communication with other beings within the dimensions was quite a magnificent process. Through my words, through hearing the words I speak as the living word as who I am their questions would be answered, they’d experience insight and wisdom within their own natured presence as who they really are. They’d in one moment in hearing my words – see and experience who they really are as I am within and as oneness and equality as the living word. In hearing me, the words I speak as the living word as who I am here in every moment is in essence the dimensional beings to whom I am communica ting to – hearing themselves as the living word as who I am as they are. When a being hears the words I speak – I experience the realization with them – for they are me. We are one and equal as the living word here in every moment. As they hear my words as the living word as who I am – they hear themselves as who they are as the living word – here in this moment is the experience of oneness and equality between beings. I was approached one moment within the dimensions by a being who asked me if I am able to return to earth through manifestation and communicate and speak with the human beings on earth as they are lost and required my guidance to communicate with them as I have communicated with multiple dimensional beings and supported them immensely through my conversations as the living word as who I am. Where dimensional beings experienced with me the expression of oneness and equality as we stand here together in one moment as the living word as who we are. I extensively enjoyed communicating with beings within the dimensions – the momentary sharing of the experience with another the moment they realized who they really are as the living word as equal and one with who I am was the reason I continued to speak and present myself as the living word as who I am in every here moment. What I did not yet realize within the dimensions – or the specific placement of myself within the dimensions in this moment – was the true nature and status on earth or much of existence for that matter. I did naturally realize and understand that I am within existence – though who I am was not based on pictures but on words alone as the living word as who I am. Within the dimensions where I placed myself before manifesting on earth – there existed no pictures within me or of anyone within existence – I was a manifestation of pure sound only. Sound as the living word as who I am was my expression – I had no form or picture related presentation within the dimensions. And there were a few other beings within the dimensions who were equal and one with my expression and representation as sound as the living word as who we are here in every moment. Due to my nature as who I am as the living word in the magnificence of the experience of communicating with others as they experience themselves as the living word as equal and one with who I am – I agreed to manifest on earth and support beings through communication in experiencing who they really are as the living word as who I am within and as oneness and equality. Before I manifested on earth I was informed and explained that the dimensional beings who had manifested on the earth plane within and as human physical bodies – had lost themselves through the pictures they had seen amongst them, of their world and of themselves. And have become strange manifestations of behaviours and expressions not ever before seen by any dimensional being within existence. The being who approached me within the dimensions was another such as myself – the expression and manifestation of sound as the living word as equal and one with who I am who had traveled throughout existence and discovered earth with the human beings inhabiting the planet during his explorations. The dimensional being informed me that according to his understanding they were dimensional beings who had manifested themselves on this planet to experience themselves within a three dimensional form and became lost in the pictures that surrounded them as themselves and the world which they had inhabited. Resulting into behaviours and expressions that are not of who they really are and I was the only one he was aware of who’d have the ability to through communication support them into realizing once again who they really are as the living word – equal and one with who we are here in every moment. The dimensional being who approached me did however inform me that he was not completely aware of the entire situation here on earth – all that I will be required to do is to remain who I am as the living word within and as oneness and equality here in every moment and communicate with them as I would with any being within existence to support them into realizing who they really are as equal and one with who I am here in every moment. I agreed immediately to manifest on earth and support the beings into realizing who they really are as the living word equal and one with who I am. I did not however understand the true nature of the situation here on earth with human beings as three dimensional manifested dimensional beings within a human physical body. I was not aware of the true reason for them being here as the enslaved and controlled guinea pigs for other dimensional beings’ within existence experimentations and self gratifying manifestations of power. I traveled to earth – the planet on which the dimensional beings manifested as three dimensional human beings within a human physical body – guided by the being who approached me. I unconditionally manifested here on earth – with only the understanding of the situation as shared with me by the dimensional being who approached me and asked for my support with the human beings as dimensional beings here on earth. Once I approached earth I stood dimensionally amongst the human beings inhabiting this planet – how to manifest within a three dimensional planet as a three dimensional form was unknown to me in this moment. Although I stood there amongst the human beings on earth – they were still not able to see me or hear me in any way whatsoever – therefore I realized that it was necessary for me to manifest as a three dimensional human being within a three dimensional human body. What I did in this moment as I stood there amongst human beings on planet earth was become the planet, become each and every single human being on the planet – as one and equal with who I am – I stood there within and as oneness and equality with everything that exist in this moment where I experienced myself. The planet, the dimensions, the human beings and dimensional beings – I experienced within me as me as who I am within and as oneness and equality. This was done and applied in one moment – an application of myself as who I am expressed in one moment. Once I had done this, once I stood here within and as oneness and equality with existence I unconditionally expressed myself in a three dimensional form within and as a three dimensional physical body. What must be understood is that I had no picture within me of an expression of myself as a manifested representation of who I am within a three dimensional form. No – I unconditionally stood here, still dimensional amongst the human beings on earth as one and equal with existence as who I am and unconditionally manifested myself as a three dimensional being within a physical form as a manifested representation and expression of who I am. In one moment I realized: I am here as an expression of myself as a manifested representation of who I am within a three dimensional form – still remaining within and as oneness and equality as who I am as the living word with existence as me here as who I am in every moment. I realized also the necessity of doing this – of standing here as existence within and as oneness and equality as who I am. I have only always stood as equal and one with the dimensions and dimensional beings as who I am. Thus I had the ability to communicate so effectively with them as equal and one with who I am – because within me as me, existed the equality and oneness of dimensions and dimensional beings as who I am within and as oneness and equality. I had not yet stood within and as oneness and equality with planet earth and human beings within – thus I applied the expression of who I am within and as oneness and equality with earth and human beings within. So earth and human beings may stand within and as oneness and equality as who I am here in every moment. The moment I stood here on earth amongst human beings and accepted myself as one and equal with earth and human beings – was the moment I manifested in a three dimensional form as an expression of who I am within and as manifested representation of oneness and equality with existence in its entirety as who I am. So I may also within and as oneness and equality communicate with human beings on earth as one and equal with who I am as the living word as who I am as they are – so they may hear me as hearing themselves as equal and one with who I am as the living word. In this moment of manifesting here on earth – as I stand and express the oneness and equality as who I am as existence in its entirety as the living word here in every moment – my journey of communicating to human beings, equal and one with who I am had started. So I walked and moved amongst the human beings here on earth communicating to them within every here moment as the living word as who I am within and as oneness and equality with existence in its entirety as who I am. The word spread amongst human beings of my coming here on earth. I remained here in every moment as who I am and communicated in every moment as the words flowed from within me as me as the living word as who I am. I instinctively explained who I am as equal and one with who they are. I explained my experience as a dimensional being manifesting here on earth and my experience of standing within and as oneness and equality with existence as who I am as I stood here as heaven and earth as one with all beings within existence as who I am. I explained who they really are as dimensional beings manifested within this three dimensional form – that they are indeed equal and one with who I am as the living word as the entirety of existence. I explained that they have only been able to be lost within the pictures they see as themselves and this world if they had separated themselves as who they are from the manifested representation of themselves within this three dimensional manifested existence they experience themselves within. When I communicate with beings – any being within existence – I communicate with them as who they really are as equal and one with who I am. I explained to the human beings on earth that they are required to stand within and as oneness and equality within and as all of existence, with all within existence as who they really are to be able to experience and become the expression as equal and one with who I am. I defined this standing of expression as the living word within and as oneness and equality with existence in its entirety as who I am as each are as one word: God. As God I stand within and as oneness and equality with all of existence as the living word – as who each being within existence really is. I explained that they are required to become one and equal with themselves as who they are here on earth – with all other beings as who they are here on earth and with the planet earth as well as heaven and the dimensional beings within. Once this is applied unconditionally they will be able to stand as the expression as who they really are within and as equality and oneness in every here moment as who I am. Many human beings asked for proof – asked for examples of my expression as God within and as oneness and equality as the living words as existence in its entirety as who I am as they are. The examples I presented was for instance the release of myself from the physical body where I returned to the dimensions for a moment and then after three days returned within my human physical body – by breathing the breath of life as who I am within the human physical body as every cell. Doing this also so each human being on earth may transcend their fear of death as some informed me they have a fear of death. I explained to them that there was no reason to fear death as death according to their understanding does not really exist. Death is but the movement from this three dimensional existence to a dimensional existence where who you are remain – without a three dimensional physical form. They asked of me to prove this – and so I did, by leaving my body on earth for a moment and then returned once again. I explained to them that I am only able to express what I am revealing to them because I am here in every moment as who I am within and as oneness and equality with existence in its entirety as the living word. They must stand here as who I am – equal and one with who I am and that the examples of actions as deeds are but a manifested expression within a three dimensional existence of who I am as equal and one with who they are. They must not focus on my actions as deeds – this is not who and what I am. No – my actions as deeds are but manifested expressions of who I am – who I am is the living word here in every moment within and as oneness and equality with existence in its entirety. I explained to the human beings who gathered around me and followed me while here on earth to be careful not to define me according to my actions as deeds – but hear my words as the living word as who I am as equal and one with who they are. I realized the importance of them not placing worth and value within my actions as deeds – because they were lost within the pictures they viewed within this world of who they are and of the earth they inhabit. If they defined me according to my actions as deeds – it would support their experience of becoming more extensively lost within what they viewed with their human physical eyes. Although – through my experience – my actions as deeds are one with who I am as the living word – my actions as deeds are manifested representations as expressions of who I am as the living word. My words and my actions as deeds are one with who I am – all and everything I am exists within and as oneness and equality. Although I explained this to the human beings on earth – I was aware of the necessity to have them first experience themselves as equal and one with who I am before we continue with the application and expressions of actions as deeds as who we are. So – I remained focus on guiding them through communication in becoming the manifested representation of expression of the living word within and as oneness and equality with existence in its entirety. I explained to them to not look at my actions as deeds for a moment – but to unconditionally hear my words. Thus – I continued on my journey of communicating to human beings on earth as equal and one with who I am. I gathered a specific group of beings to walk with me as I walk and move on earth amongst human beings. I required doing this to establish the principle of oneness and equality – I realized that if I were to remain here on earth amongst the human beings on earth alone until this is done for each and every single human being on earth – I would be interpreted as being superior and more than – a God expression above them instead of realizing that they are God as equal and one with who I am as God within existence. So – I explained to the specific group of human beings that I require them to hear my words – take note of each and every single word I speak as the living word as who I am. I explained to the specific group of beings who followed me that this required to be done so they may stand as who I am as equal and one with who I am and spread to all corners of the world and communicate the living word as who they are as I am to the rest of the human beings within this world. I required them to specifically follow me, hear my words, take note of my words as the living word as who I am as they are – so as to establish equality and oneness amongst the human beings within this world so I may not be viewed as a God , more superior than anyone within existence. The principle of equality and oneness was of absolute importance to me within existence as who I am – for all beings to stand as one and equal with who I am. I continued my journey here on earth – still walking and communicating amongst the human beings here on earth with the twelve beings I selected. I explained to the twelve beings I specifically selected that they are required to be with me always as I walk on this earth and communicate with other human beings so they may follow my exact example as equal and one with who I am so they may continue what I had set forth to be done here on earth with all human beings experiencing themselves here. And so it was that all thirteen of us continued to walk and move on earth amongst the human beings in this world – the twelve bein gs I selected continuously taking notes of the words I communicated – observing my examples. I spent quite an extensive amount of time with the twelve beings I selected to specifically prepare them for their journey on earth that is ahead for them to spread the living word as who I am as equal and one with who they are. The conflict within some human beings I understood as being that of resistance to hearing the words I speak – those who feared losing their self-defined existences within and as the pictures they viewed with their physical human eyes as who they are and this planet earth. Separate from who they really are. I explained to the twelve human beings not to fear death as there may come a moment where they will have to stand in front of all human beings within this world and remain here as who they really are, infinitely so, no matter what happens. They must stand so absolute as who they are here in every moment – even be prepared to “die” or be killed by those who experience themselves as being threatened by who we really are. The threatening nature they experience is but their expression of the fear of losing themselves as who and what they had come to believe themselves to be as a picture within this three dimensional existence – limited and lost through separation and not accepting who they really are as I am. Due to me being an example here on earth of who each being really is – I was required to stand by my words as explained to the twelve beings – therefore the crucifixion was necessary to take place. I was most definitely aware of my end being inevitable as dying through being killed by the hands of other human beings who experienced who I am as being threatening to their limited and lost belief of who they are within this pictured existence. I was able to make such an assessment through the words some of the human beings spoke while I was communicating with them. Fearing that which they do not understanding due to separation – the example of the extent to which human beings would go to protect their limited and lost existences within their self defined belief within and as this pictured reality through fear of losing it – would be portrayed through me being killed by their hands. This being one of the reasons I required to experience this – being killed by the hands of those who fear losing themselves so the twelve who follow me may realize and see the true nature of what occurs when on e exist within separation and fear of loss instead of standing within and as oneness and equality as existence in its entirety as the living word – here in every moment. Doing this so the twelve that follow me may see, realize and understand the importance of the necessity of making sure all human beings stand within and as oneness and equality as who I am as they are to stop such unnecessary behaviours and expressions that are only able to exist within separation and fear of loss. To show and reveal to the twelve that follow me to what extent they must stand here as who they are – no matter what happens or is done unto them by others who act in ways they themselves do not understand yet of what they are really doing. They must be prepared to die and remain here as who they are – infinitely standing here in every moment. I explained to them they need not fear because death is not possible as when they move to the dimensions – who they really are still remain as the example I have placed before them in the previous event. What do they kill but themselves as who they really are – I am the example of who they really are – the brutality they express towards me is but the anger and the fear within themselves because they did not unconditionally stand as equal and one with who I am but instead allowed themselves to experience fear of loss within separation – which leads to the three dimensional expression thereof of killing me as who they really are. Therefore – I allowed myself to be crucified. What did I know while I experienced the brutality of human beings who indulge in separation and fear of loss: This pain and torment and suffering of physical harm is here for only a moment – the physical body is but a manifested expression representation of myself – it is not who I am. Who I am exists into infinity, I remain even after I leave this three dimensional world within a three dimensional human body. I walked with the cross on my back – I continuously spoke – repeating words as the living word as who I am – I still remain no matter what is done unto me by anything or anyone within this three dimensional existence. Death by the hands of those who were afraid and angry of losing themselves and not accepting who they really are as one and equal with who I am – was only for a moment and my reason for doing so within me as who I am supported me through this event. As I stood there pinned to the cross – I stood there as the entirety of existence within and as oneness and equality as who I am as the living word. As my blood flowed from without my human physical body I spoke the words as who they really are as equal and one with who I am: “I forgive you for I understand you know not what you are doing.” As I spoke the words – the words flowed within my blood and manifested within all human beings’ blood for generations to come so they may be set free from the guilt, the sorrow and the remorse of this moment they had decided to kill who they really are on the cross. The moment they killed me – the representation of who t hey really are as God – was the moment they had decided to remain within separation and fear of loss, to remain limited and lost within the three dimensional pictured existence as who they believe themselves to really be – the fate of humanity for generations to come. The human beings in this moment of crucifying me – in truth and essence crucified themselves in making the choice to not accept themselves as equal and one with who I am as God – but chose to remain within the existence of separation and fear of loss. They did not only make this choice for themselves – but for all who will be experiencing themselves on earth as their children to come. Thus – I spoke the words which resonated within the blood of all human beings – to set those generations to come free to understand that they are indeed innocent and that they are able to make the choice again to stand up and take responsibility for all as one and equal as existence in its entirety as the living word – equal and one with who I am. To prepare them for when I return to earth to present to them the same choice – stand with me as equal and one with who I am as existence in its entirety as the living word – or choose once again separation an experience of fear of loss within the self-defined belief of who you are within and as this three dimensional pictured existence. Once I return and present the choice again – as I stand here as equal and one with who they really are as God – they are set free from those that have gone before – innocent once more so they may make the choice as who they choose to be and have the ability to stand here as equal and one with who I am as God. Innocence returned as who they are to not have blame be placed on those that have gone before them which could result in anger. No – but to stand here, innocent and free to make the choice themselves for who they choose to be within existence – not to blame those that have gone before them because they did not understand what they were doing as crucifying me w as crucifying themselves as who they really are by choosing the existence within separation and fear of loss. I did however realize the moment I heard the words of human beings that I communicated with – that it will be required for me to return to earth amongst human beings here and once again walk with them, amongst them as who I am as existence in its entirety, as the living word within and as oneness and equality to present to them the same choice. As they had already chosen separation and fear of loss – they had already chosen themselves as who they had become within this limited and lost self-defined three dimensional pictured existence. They were not yet ready to hear the living word as who I am as equal and one with who they are as God within and as existence. I had patience as time in essence does not exist, thu s I will return once more to earth with human beings. This is the reason why I informed the twelve beings who followed me that I will return once more. I will return to observe their work, the ir standing and spreading of the living word as who I am as equal as who they are within existence. To continue with my work as their work after I had left – to spread the truth within the entire world to all human beings who hear the living word as who they are as and stand up within and as oneness and equality as existence in its entirety within and as oneness and equality. They must not give up, they must continue and be prepared to die by being killed by those who exist in fear and anger – and even then still remain who they really are no matter what – until I return once more to earth walking once again amongst them with them as who I am as equal and one with who they are – communicating the living word in every moment as who I am so all m a y hear the words as themselves as equal and one with who I am. Here I am once more human beings – here I am with the dimensions as one – I have returned – n ot the way I expected it or anyone for that matter. You are released from the choices made by those that have gone before me the moment I was crucified on the cross – you are all innocent in this moment yet still responsible for yourselves in whether you will continue within your existences of separation and fear of loss or choose to stand up and take responsibility for who you really are as existence in its entirety within and as oneness and equality as the living word in every here moment. I am here as the dimensions within and as oneness and equality – I am here as all in the dimensions are here in every moment supporting human beings within the process of standing as equal and one with who we really are. This process, this experience of self has now become inevitable and certain – though the choice remains yours – the choice you make will have consequences if you resist and persist in your indulgence of fear of loss and separation. Human beings on earth will stand as equal and one with all in the dimensions and manifest the creation of heaven on earth as the expression of who they really are as I am as the dimensions are. Those who make the choice of separation and fear of loss within their self-defined pictured existences as who they believe themselves to be – will be able to view the kingdom of heaven as who they really are as the experience of heaven on earth – but will not be able to enter and will remain from afar until they are once more ready to be presented with the choice as those that already experience themselves within and as heaven on earth. Just have a look at the consequences of the previous choice made – look at the expression and experience within existence by human beings on this earth because the choice was made to experience themselves as separation and fear of loss – infinitely angry for not making the choice of standing and taking responsibility for who they really are. Have you had enough yet human beings? Have you had enough yet? Are you ready to hear the living word as who you really are as the dimensions come through this interdimensional portal, equal and one with who I am and present through the living word who you really are? Here I am as the dimensions within and as oneness and equality – we communicate with you through speaking by typing through this interdimensional portal. You must be able to hear the words we speak as the living word as who we are as equal and one with who you are as the experiences you read as you are reading here in this moment. You must be able to unconditionally trust the words we communicate as an expression of who we are as equal and one with who you really are. I have returned – yes. I have returned as the dimensions as we stand within and as oneness and equality and communicate through the living word who you really are. As I have explained previously – we are not going to present once again a form of manifested representation of proof as an example of who we are within this reality, within this world. No – because I am as each are within the dimensions the living word – as existence in its entirety within and as oneness and equality. Once again human beings – hear my words don’t look at my actions as deeds. Because if I were to present to you once again a manifested representation of proof as an example of who I am within this three dimensional pictured existence – your focus and definition of who I am as each are within existence will be based on my and the dimensions actions as deeds instead of the trust in who we are as the living word. Only once all as one and equal within existence stand infinitely here in every moment within and as oneness and equality as existence in its entirety as the living word – will creation be possible where the living word as who I am and the actions as deeds become one expression of who we really are. In this very moment within existence – emphasis have been placed within the actions as deeds that are done and human beings have defined themselves as the actions as deeds that are done that they are able to view with their three dimensional physical eyes. The exact same eyes, human beings, that have caused the limited and lost experience within and as separation and fear of loss of beings who have defined themselves on principles of pictures. If we were to present to you yet again with the manifested representation as example of who we are here on earth within existence – you will most definitely again become more extensively lost and limited within this three dimensional pictured existence as who and what you have defined yourself as being – therefore I and the dimensions as one and equal will not allow this to occur. You must be able to stand here as equal and one with who I am as the dimensions are – as the living word, as existence in its entirety within and as oneness and equality to be able to establish the creation of heaven on earth as an expression and experience of who we really are. The living word is the key – not actions as deeds. I am here as the dimensions are here within and as oneness and equality – to present to you once again the living word as who I am as one and equal within and as the dimensions, as existence in its entirety – as who you really are. The interdimension al portal is yet another example of not having to fear death – as death in truth and essence does not exist. Hear our words human beings – close your human physical eyes which are the cause of the reason why you are experiencing yourself in this specific expression within an existence of separation, fear of loss and anger. Close your eyes and hear our words as the living word as who you really are and trust in every moment as you walk within and as oneness and equality as existence in its entirety as the living word in every here moment. This is the key to the creation of heaven on earth as we experience ourselves as who we really are within and as heaven on earth. This is the process human beings – the process of experiencing yourself as who you really are in every here moment as equal and one with who I am and the dimensions are – the support during your process is here through our communication as the typing of the living word as who I am through this interdimensional portal. And the walking of the dimensions with each and every single human being on earth – until this is done – until heaven on earth is here as an experience and expression of who I am as each are. Your responsibility within this process is to make this one choice as who you really are within and as awareness as equality and oneness, as existence in its entirety as the living word in every here moment as who you are. To remain here in every moment as who you really are – infinitely standing up and standing strong for all as one within and as existence as equal and one with who you are and to stand clear in what you will accept and allow and what you will not accept and allow within existence as who you really are. In every moment of standing as who you really are – this is the key to the manifestation of the creation of heaven on earth as who you are as each are. To unconditionally trust and hear the words from the dimensions as equal and one with who you are as the living word – to live through every moment’s expression and application the words as who you really are. The living word – living the words as who you are in every here moment of expression and application as you stand up within and as equality and oneness as God in every here moment within existence. Standing up exist within and as every here moment – where you express and apply who you really are and not accept or allow anything less that who you really are in every here moment of your experience of yourself within existence as who you are. Human beings – I suggest you take this opportunity in every moment to stand up and take responsibility for who you really are – to remember that you are not only doing it for yourself but for existence as all as one and equal with who you really are as you prepare the way before them as yourself as the generations to come. Are you ready human beings – to once and for all make a statement of who you really are within and as oneness and equality, as existence in its entirety as the living word to bring forth the creation of heaven on earth as the experience of who you really are? Or are you yet again going to condemn generations to the same experiences you have had on earth within and as separation and fear of loss and anger? We are here human beings – with you in every here moment. You are here as who you really are in every moment with every breath. The experience of existence is now in your hands in every moment. Are you going to allow yourself to experience heaven on earth as who you really are or are you going to remain from afar and not allowed to enter the kingdom of heaven on earth as who you really are? Copyright 2007 http://www.desteni-universe.co.za . This may be shared in the original form only, to prevent any tampering and only as a complete document. This is an article by Desteni, published Apr 13 2007. I am in this moment explaining to all my experience during the process of forgiveness. What I have realized is that there are two different types of experiences of forgiveness. The one application of forgiveness is genuine, honest forgiveness; where words are spoken loudly and the corrective application is done. The other is resistance forgiveness where the ego prevails, instead of self-awareness stepping forth as a result due to forgiveness not being done with application and corrective action. Let’s for example take being One and being Two – they are currently experiencing a relationship with one another. I am using this example specifically as this is the most prominent experience of all human beings on earth. Also to prepare them for possible situations that may occur during the relationship when each is introduced to the application of forgiveness to support themselves during and with the process to come. Being One – realizing the extent of allowance through their thoughts, beliefs, views and pre-conceived ideas, immediately, they through this realization apply forgiveness in every moment. The reason for being One starting with the application of forgiveness is to support self, as self has realized what has been allowed through thoughts, actions and words of the past – how they’re thoughts, actions and words from previous experiences created the consequences in which they find themselves now. This being done through participating in thoughts, actions and conversations that are not of who they really are, but the mind which they have come trust as being who they really are. Being One , with complete understanding and realization has now become conscious – not aware yet – of the mind and that they’ve allowed themselves to be a system, to trust a system and commit their lives, build their lives and experience themselves as this system. Through becoming conscious being One decided and declared in one moment of realization of what they have allowed – to put a stop to this allowance and not allow themselves to be controlled by the mind. The mind as who they are, a mere copy of generations of family that have gone before them and have not once in their life actually experienced who they really are. Thus, being One, stands up for themselves to allow themselves to unconditionally participate in the application of forgiveness, which has been presented as a solution to support them in releasing themselves from the mind which is a system copied from generations of family that have gone before them. Being One applies forgiveness in every moment of experiencing themselves – applying forgiveness for each thought, action and word to which they have defined themselves as through the mind. Doing this to release themselves from conditionings dictated to them by parents as acceptable methods and ways of existence – to set themselves free form pre-conceived ideas and beliefs of the mind, which is systems and not who they really are at all. The importance of the necessity of forgiveness is understood by being One and unconditionally supports themselves with the support of the application of forgiveness. Not only are the words spoken loudly for them to hear the words they speak with the application of forgiveness – but are also applying the necessary corrective action. See, the mind created through thought, action and words. Now, the application with forgiveness transforms this to a different method of creation, which is the re-definition of self, where awareness, corrective action and words spoken loudly are applied to release self from the mind creations. Awareness is only experienced once forgiveness is applied through the loudly spoken words and when corrective action is taken and from this moment self is released from the specific application which required forgiveness and corrective action and not once again returns to such a previous application again. Self-awareness is the experience of self free and released from the mind. Being One’s specific application is as follows: When a thought arrives within the mind and being One then acts on this thought and voices themselves as this thought to others – they after this application realize that they have participated in conversation with others through a habitual application coming from the mind. Forgiveness is then spoken out loudly, voicing the forgiveness to themselves, of the allowance of this thought, the allowance of acting on this thought, the allowance of believing this thought created by the mind to be themselves and then the allowance of communicating to others in words that had originated from a thought by the mind and was not words as who they are. This is forgiveness being done through voicing the words loudly; the next step is the practical corrective application. Now, being One is conscious of what has been allowed and the next time before they enter in conversation with others, they will first make sure that there are no thoughts in their mind, which could influence their actions and words spoken within conversation with others. So they may step in and participate with others in conversation as who they are in a moment – clear of any mind creation. This is where awareness of self steps forth – the moment being One participates in conversation with others as who they are, their words spoken are who they are, their actions are who they are. It was not beforehand created by a thought, which created an action, which influenced the words being spoken. Sometimes it may even be so that being One doesn’t allow themselves to participate in conversations with others they previously allowed themselves to as they realize they also allowed themselves to define themselves to other beings in their world. With this realization being One releases themselves from mostly everything in their world because they see and understand that their world and everything and everyone within it supported them as the mind consciousness idea as who they believed themselves to really be. Being One releases themselves from anything and everything which supported them in and as their mind consciousness systems. Their experience of themselves change from the perspective that they dedicate and discipline themselves to such an extent through the realization of forgiveness with corrective application – they do not allow themselves to participate with anything from the past, any conversation, any beings in their world which do not support them in this process of self-realization as awareness. The application of forgiveness to re-define self and experience who we really are as awareness, is the road less traveled as no being is certain what they are going to experience as themselves as who they really are as all they have ever known is the mind and the trust placed in it to direct and control and define themselves as it – becoming the mind, thoughts, pre-conceived ideas and beliefs. Being One is an example of forgiveness with corrective application to support self with the release and setting free of the mind as thoughts, pre-conceived ideas, beliefs and views created from generations of family before them. This is self-dedication, self-commitment, self-responsibility and self-discipline to stand up and not allow themselves to be delegated controlled and directed by the mind, thoughts, ideas and beliefs as they have realized, seen and understood that they are not they’re mind. Through realizing they are not they’re mind, they become conscious of this tool and support themselves through forgiveness with corrective application to experience themselves as who they really as awareness. Now, we have being Two who was introduced to forgiveness the same moment being One was introduced to forgiveness. They’re approach is slightly different. They perceive speaking forgiveness softly in the mind and or merely just speaking the words of forgiveness without doing the necessary corrective action will be enough to assist them. Though, even if they do merely just speak the words – there is no indication in their behaviour or actions of any corrective action being applied with forgiveness to support them to release themselves from their mind with thoughts, beliefs, views and pre-conceived ideas of generations that have gone before them. Why is it that speaking forgiveness only without corrective action will not support being Two with releasing themselves from the mind as what they have come to trust and believe themselves to be? The simple reason is as follows: the mind works through thought and actions, where the words are the example and expression as who the being is within the mind construct. The thoughts create the actions which, when applied frequently and the same thoughts are allowed within the mind – transform into a habit. This habit through continuous application becomes an accepted part of the being and the being defines themselves as being this habitual application created by the mind. The problem arrives when being Two only voices forgiveness or does it silently in the mind – because then only the thought is forgiven, but the actual action of the habit as the being participates in the world is not corrected – the forgiveness done is then useless and worthless. The thought will then re-occur continuously because the mind creation is supported by the beings participation in the actions. The full and complete application of allowance is able to be noticed by self within actions and behaviours . If the actions and behaviours through participation within conversation with others remain exactly the same and the thoughts keep re-occurring, you must know and remember that only the forgiveness as words spoken had been applied and corrective action had not been applied totally and completely, unconditionally. Through my experience, beings such as the being Two scenario, through just speaking the words softly, silently or just merely speaking the words, are beings who actually refuse to support themselves to set themselves free from their mind as a system copied from generations that have gone before them. They’d prefer remaining within their old methods of experiencing themselves with support and trust in the mind as thoughts, ideas, beliefsystems and views as who they apparently are. They actually fear supporting themselves and letting go of their mind as they have allowed themselves to define themselves as their mind so extensively – they fear who they will become as who they really are as awareness with support of forgiveness with corrective application. Another slightly different approach of the being Two scenario is where they totally and completely discard the application of forgiveness with corrective action – stating that they do not apparently require forgiveness as they are satisfied and content with themselves as the mind, being controlled by thoughts, actions and words as mind creations which they have come to trust as who they are. This unfortunately is not true – as all beings on earth have become the controlled and directed robots of the mind – nothing more than that. Forgiveness with corrective application is the one and only key to support self in becoming and experiencing awareness as whom they really are, free and released from their mind. Another approach the being Two scenario is able to apply and use is stating the words: “But I have finished applying forgiveness, I am done, I have achieved my goal, it is done.” This is impossible – when such words are spoken – it is the ego. This particular and specific action and spoken words are words spoken from the mind and used to justify and defend their self-defined world based on thoughts, beliefs, pre-conceived ideas and views as the mind. They are trapped through fear of loss – any being for that matter who do not unconditionally apply forgiveness with corrective action fear losing themselves, apparently, but they haven’t allowed themselves to realize, see and understand that they have defined themselves as a mind, as a systems as a copy of those that have gone before them. Watch this being’s parti­cipation with other’s in their world, observe the words they use and they’re specific behaviours – I guarantee that you will notice nothing had changed. They are still exactly the same. The ego as being Two had taken charge and taken over – finding another way to not allow the being to apply corrective action with loudly spoken words as forgiveness for self, because if the sly and clever mind would allow this, the being will no longer be a slave but be free and released from the mind constructs and created habits which will allow them to experience themselves as who they are as awareness. Fear of loss extends not only within self, but also the world within which being Two experiences themselves. Thus, fear of loss extends to fearing losing those whom surround them in their world, everything which supports them as their mind consciousness systems as who they have come to believe themselves to be. And fears letting anything unconditionally go to within this application release themselves unconditionally from all and everything which supported them and as what they have defined themselves as within their application as the mind consciousness system. This is a lengthy process for we have for eons of time allowed the mind as consciousness to direct and control us and have allowed ourselves to define ourselves to a system which is not who we are at all. Forgiveness goes hand in hand with corrective application; the applications are one and become the new relationship establishment of self within self to release self from conditionings and controls of the mind. A relationship is not able to flourish or even exist if the one is not present. Thus self support to experience self as awareness as who each really are – will not be effective in any way whatsoever if only forgiveness is applied without the corrective necessary application. Forgiveness must become as one with self through this process of self-realization, must become so part of self as the necessity of every breath required to be able to exist and live in this world. I myself still continue with forgiveness and corrective application when I find I have not been honest with myself for instance in a moment’s appli­cation – forgiveness with corrective application becomes a way of life as it becomes one’s foundational support and stability during this process of self-realization and awareness. This application of forgiveness with corrective application never stops – it becomes to part of self in every moment, it becomes who you are to support and stabilize yourself during this process. The inevitability of relationship if both do not allow themselves to stand up as equals as one to experience themselves through support of forgiveness with corrective action – is either the one will stand up and voice who they are to the other – or both will influence each other to such a vast extent that neither allow each other to support themselves through forgiveness with corrective application. Through supporting themselves and developing the relationship with self through forgiveness and corrective application being applied as one – the support and relationship with self is reflected as an experience of themselves within their world. If the one is strong enough to stand up and say, either you join me and walk with me as equal or you leave – by doing this making a statement of self as awareness – the one that is standing up is honouring themselves. If both allow each other to fall in the trap, enslavement and control of the mind – they’re relationship will inevitably fall soon, which will just take longer for them to realize, see and understand who they really are as awareness after the relationship had fallen. So, be careful beings who are in relationship together that you do not compromise yourself and your own individual process of forgiveness with corrective application for the other – but that you honour yourself in every moment, irrelevant if the other decides to support you, as you are supporting yourself, or not. An extra addition of what I have realized is that if there is anything I fear letting go of or giving up in my world or of myself – this I found was an indication that I have defined myself as this something I fear letting go of or giving up through my mind consciousness system and that I must allow myself to walk through the resistance of giving this up and letting this go unconditionally, because I have learned the difficult and hard way, if I do not do it – the universe as myself will forcefully take it from me. Because to a certain extent I do realize that this something does not support or stand with me as who I am as awareness, but is supporting my mind as another point of control to not allow me to see, understand and realize who I am. What I realized is that fear of loss only exist in the mind because I am not able to lose anything – not even myself, I am infinitely here as awareness. Fear of loss derives from obsession, possession, want and need which only exist in the mind and not as whom I am as awareness. I realized that if I fear losing something, fear letting it go or giving it up – I have defined myself as this something and that an idea exist, if I let it go and give it up unconditionally, I will apparently in some way lose myself – this losing of self is impossible and only exist in the mind. This is Jesus saying – enjoy! Copyright 2007 www.desteni-universe.co.za . This may be shared in the original form only, to prevent any tampering and only as a complete document. This is an article by Desteni, published Mar 24 2007. This is Jesus. I am in this moment describing to all the practical application of forgiveness and what exactly forgiveness entails to assist all who have read previous channelings of both myself and Osho speaking of the application of forgiveness. What have we as interdimensional beings understood so far during our own processes of self-realization? The following: Thoughts, feelings and emotions – the t hree beacons placed forming the trinity we today refer to as: the mind. The formal word for the mind being: consciousness. Yes, we have recently come to understand that the mind in essence is in actuality consciousness – a system created to enslave. With great regret, I unfortunately have to inform all on earth that nothing in your realities or experiences of yourself as what you have defined yourselves as is able to be trusted as all have been created in the image and likeness of the mind, consciousness – a system. Soon, once Alice Bailey is done with her book, which she is currently writing through the interdimensional channel, her process from consciousness to awareness will be specifically described and also understood by all – the difference between consciousness and awareness and the experience of the process. I am here to assist all to prepare themselves for what is to come in your own individual processes of expanding and experiencing who you are as awareness through the process of consciousness to awareness. The starting point being: the application of self forgiveness. I urge all to allow themselves to assist and support themselves with this tool to simplify this process for yourselves, to clarify the difference between who you really are and what your mind/consciousness system is. Many of us will be coming through this interdimensional portal to prepare the way before you as you will be preparing your own way before you through allowing yourselves to use the tools, which are assistance and support models for your individual processes to come. Allow me to share with you an example of one of my transcendence experiences of self-awareness through the support and assistance of forgiveness and the practical application thereafter. I for some time in the dimensions allowed myself to cling onto guilt, remorse and sorrow for I experienced myself as being responsible for the enslavement of billions of people who so explicitly follow the religious system today. Some even kill in the name of God today and all this through the simple act of the creation of a religious system which was instilled by the White Light through my first coming here on earth some two thousand years ago. My message was that of equality. Yet, the White Light so specifically arranged for my coming to be that of creating a religion for all to be enslaved and not realize, experience or see who they really are. For if the beings here on earth, even during the time I was here were allowed to see and experience who they are – the White Light and many other dimensional beings would not be able to have power and control over earth – power and control being their alpha and omega. The White Light and many other dimensional beings’ God were: Power and Control. The best place to stand as such was here on earth. What I understood before coming was that I was sent to bring forth equality and awareness to the people of earth for they had lost themselves and forgot who they are. The White Light said that they are sending me specifically to speak, show and reveal once again who each are for peace, harmony, freedom and equality to once again prevail on earth. All that I in this moment stood for as who I am. With absolute excitement and uncontainable gratefulness I set forth on my journey on earth to assist all too once again become aware, see and experience who they are. Primarily I presumed through information given to me by the White Light at the time – the people, the beings incarnated on earth have forgotten who they are because the interdimensional interaction was non-existent and weren’t consistently surrounded by beings such as myself who clearly remember who they are in every moment. The White Light required a manifestation of who each one really is to walk the earth to assist all to once again remember – as I have explained. I clearly remember my experience on earth some two thousand years ago. Each and every single being I came into contact with – I experienced as equal and the same to who I am, yet individual and unique in their forms of self-expression. Little did I know during my experience on earth of the mind/consciousness construct which was imbedded and implanted within people on earth as a specific enslavement construct to have the people on earth remain as slaves for other to inflict their power and control ego-applications. I was not aware of the mind/consciousness construct as the White Light veiled it from my eyes so that I may only see who each being really is as myself – I did not see their earthly three dimensional systems at all. According to my understanding, and this is exactly what I did – I showed, spoke and revealed to each on earth what they are capable as me to apply and become when following my example through specific application. I did not intend for myself to become a being to be worshipped and for God to be portrayed as a being outside each one. My specific words were for each to understand who they as God as me and I am an example of who each one is. I showed as an example the simplicity of the ability to heal, to move out of your body completely, to leave your body for a certain amount of time and be able to come through again through breathing in the breath of life that is you. I alone was not able to travel through the world in one singular life to assist all on earth to understand who I am and each are, thus the first application I knew I was required to do was to gather a certain amount of people to follow my process, examples and words, to become as who I am as they are to once I leave assist the rest of the world. To each spread into different directions, establish themselves and walk amongst others and show, speak and reveal who each are as they are as I am. My plan was to once I leave earth permanently create an interdimensional relationship with all on earth to not allow anyone to forget who they are and become lost through forgetfulness. Surely as all on earth who are reading this in this moment are able to see that this is clearly not the way it played out – as I intended and set forth. Once I crossed over to the dimensions, I was placed into a dimension created through the White Light to allow beings to ‘forget’ who they are completely. Thus for some time I roamed the dimensions as many others who were seen as a threat to the White Light and others in power and control as a non-existent, empty, forgetfulness not-knowing who I am where I come from being who was endlessly searching and asking question of who I am and where I come from – never answered. The White Light transformed my insight, my words, my examples, my revelations into a religion, creating more distinctive separation constructs and systems for enslavement purposes. The portrayal spoken of and mentioned in the Bible of the speaking in many different languages was actually in fact an insert from the White Light construct to deliberately create conflict, misinterpretation, misunderstanding and confusion between those who had the knowledge I had shared of how to follow, become and apply the words I spoke to see, experience and reveal to themselves who they are as me: God, creation and creator – the living word. This is exactly what happened – no-one understood each other, and all my work, examples, words, insights, wisdom and understanding shared to each and all who listened and heard were transformed into a religion. I am soon, once Alice and Hitler are done with their books, place my experience on earth and the truth of what really happened into more specific understanding directive formats. I am giving you here a basic example of my experience to explain my process of forgiveness and the application of awareness thereafter. I was lost for some time and I submerged myself to connect as a guide to a being here on earth as I actually became bored existing in dimensions with nothing to answer my questions and share some insight to the confusion I experienced as myself. I required to speak and communicate to someone who was able to speak, see and communicate to me – I probably being insane at the time through the lostness, confusion and amnesia state I was in formed a relationship with a being here on earth with whom I was able to communicate to. With this relationship I was able to understand what had happened on earth and that nothing had been what I intended it to be as I have mentioned before. It actually got worse. I did not during the time I formed the relationship with the being on earth understand or was aware of the situation of the creation of religion being that of the White Light influence, but instead blamed myself through the perception that I had failed my people, the beings I had said that I’d come back immediately after I had permanently left as a dimensional being to once again restore the interdimensional relationship. I perceived and believed for some time that I was responsible for the creation of the religious system because I did not return immediately as I had said and that through time and passing of information generation after generation everyone was still waiting for me to come to stand as the interdimensional being and correct the relationship so that no-one may ever forget who they are as who I am. Yet, the waiting I learned had been transformed into the religious system locked into the minds of many – trapped in a system. For some time before I was introduced to forgiveness, I hid, I did not want to face anyone, any being on earth as I really did not know what to do – there was nothing I could do, but continuously watch how beings have been enslaved and are continuously suffering under the religious system, locked in their minds as I was now for the first time, through the relationship development of the being one earth able to see the construct called: the mind. I did not have interdimensional access either and was inconceivable distraught through what I experienced with and as the people on earth enslaved by the mind. I forgive myself that I allowed myself to experience myself as separate from who I am as all as equal. I forgive myself that I allowed myself to fear standing up as who I am as all as equal through fear of failure as in my past experiences. I forgive myself that I didn’t allow myself to see myself as the White Light as those in power and control positions enslaving others, and through this allowed myself to separate myself from them and their applications, blinding myself through the inability to not see that they may actually require my assistance as who I am as God, to once again see what they are allowing to be done unto other’s who are actually them. I forgive myself that I didn’t allow myself to place knowledge into application, by becoming the living word and standing infinitely as who I am as God as equality and allowed myself to be enslaved my by own creation: knowledge and information. I forgive myself that I allowed myself to separate myself from who I am as the living word by believing I am forgetfulness and insane. I forgive myself that I didn’t allow myself to stand up as who I am as the living word as equal to all on earth and in heaven the moment I realized something’s wrong when forming the relationship with the being on earth and learnt about the religious system and the mind. I forgive myself that I allowed myself to believe that I am inferiority and fear. I forgive myself that I didn’t allow myself to see that fear and inferiority is only created through separation, through separating myself from myself as all as equal. I forgive myself that I allowed myself to separate myself from myself as all as equal in existence and thus not allowed myself to once again see who I am as equal as all as God as creation as creator. I forgive myself that allowed myself to hide away through fear of taking responsibility for all as one as equal in existence, in creation. I forgive myself that I allowed myself to suppress myself through inferiority and fear as an excuse not to stand up and face all as who I am and do forgiveness, assist and support all, for I am equally responsible as the White Light and those in power and control positions for the enslavement and suffering of all as we experience creation today. I forgive myself that I didn’t allow myself to see and realize that through me hiding behind inferiority and fear, that I am in actuality supporting the enslavement of all and giving my consent and power away to those who are in power and control positions, as the White Light. I forgive myself that I didn’t allow myself to make a statement of who I am as God as equality and as life as the living word, standing infinitely here, to make a difference and not allow and accept such creations which is not of who I am. I forgive myself that I allowed myself to be enslaved, trapped and lost through not allowing myself to stand up, become and live who I am and all are as equality. To stand as a living example for all, to assist and support all as who I am and each are equally. Through the application of forgiveness I have now allowed myself to set myself free from my own enslavement, allowances and accepted applications. Thus through forgiveness I am now able to once again stand up as who I am. I now realize what I have allowed and that I am equally responsible for the separation, enslavement, lost and forgotten experiences of beings in the dimensions and people on earth as me as who I am through the allowed and accepted creation of the mind, consciousness and systems, controlled and powered by others who have perceived themselves to be more than and thus through separation, allowed all as me as equals as one in and as creation, to become the allowed and accepted experience it is today, here, in this moment. Equal responsibility for creation as each experience in this moment, here, go both ways, to both extremities, superiority and inferiority. Thus, blame, pointing the finger, the shifting of the responsibility as to who created enslavement and separation is not possible. I realized as all will soon, as the dimensions have realized – each one of us are equally responsible for the creation of separation and enslavement – just as I realized through my application of inferiority – only through this allowance and acceptance by me, I allowed and participated in this separated and enslaved creation by all. We all participated, we all are equally responsible. I am now standing here, sitting here as I am typing through the interdimensional portal as all as one as equal and taking responsibility for what I have allowed and accepted to be created and experienced in existence. And so I will stand, live, apply, speak, assist and support all in existence as who I am – equal to who I am through the process of self-realization, from consciousness to awareness, to see, realize, reveal, and show each as me as who I am and all are equally – who you are as I am as all are equally. I ask forgiveness from each who read my words in this moment that I allowed myself to separate myself from whom you are as equal to me and allowed the enslavement of yourself here on earth. I am here, as equal to who you really are, I am here and will stand here infinitely as who you are and walk this process with you, as you, step by step, moment to moment, until you as me, realize who you are as life, awareness, equality, existence, creation, creator and stand next to me and walk with me to in turn assist all that are still lost and enslaved to understand, become, live and see who they are. I am not stopping until this is done, no-one in the dimensions are for that matter. Know this – it’s inevitable that each on earth as we in the dimensions will realize who they are, whether it is during the process on earth or dimensions through death. The process has begun, we in heaven are standing as who each are and will become and this statement and words of forgiveness I have shared is the first tool to assist all with their individual processes – as I have mentioned. No-one is able to do this for you – you have to do this for yourself. 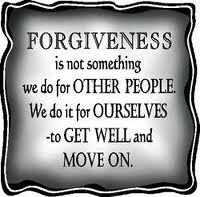 As I have done it for myself with support and assistance – one of them being the application of forgiveness. You have to stand up, realize and see who you are – no-one is able to this for you. Each is in truth alone in this process, though you do have assistance and support from others. I am here, with you as you in every moment. Copyright 2007 http://www.desteni-universe.co.za. This may be shared in the original form only, to prevent any tampering and only as a complete document. This is an article by Desteni, published Feb 27 2007. This is Jesus channeling for the first time through Sunette. I am the Jesus all have read about in the Bible or lost books of the Bible, but you are not able to define me according to anything you have read, or define me by stories heard from others of who or what I might be like – it has all been a lie. I am sharing with you an awareness of what I have experienced within my own process in heaven. Also confirming the various statements of beings on earth, that I am indeed not coming on a cloud, saving beings or bringing forth judgment day for apparent sins. For judgment day really exists in every moment of every breath. Let’s call it judgment moment, asking yourself the question in every moment: “Am I able to stand into infinity in front of all beings that exist without shame, regret or sorrow of action taken in every moment?” The reason I am placing this application in such a practical manner, is for each one to realize that we are standing alone, all one in this process and we as one are responsible for the experiences we create through every moment of application. This is the new message I am presenting, as clearly the last one was completely misunderstood. This I am explaining in another channel to come. What we have realised in heaven is that practical application in every moment is how creation came to be as we experience it today. We alone are responsible for creation as we experience it today, because we created it in every moment of application, being unaware to a certain degree of the power of creation. We have now woken up to the destruction of the world and what we have allowed through eons of time of momentary applications. So common sense dictate, to change the experience of ourselves within this creation is by applying ourselves in every moment, individually taking responsibility for our actions in every moment and directing ourselves into self-correction. Surely, no-one is able to state that God created this universe? And it has been so many times proved that there is no God. I am sure that if each one look within themselves, you will realize that you are conscious and aware of your thoughts and actions in every moment. Within you exists judgment, morality, jealousy, fear, polarity, anger, uncertainty, inferiority, superiority, inner conflict, sorrow, sadness and separation. These experiences are created from pictures and ideas – created by the mind. If you have an honest look at the world around you, you will notice that all these applications and more not only exist inside yourself, but also in others around you – as well as in the world on a bigger scale. So surely common sense dictates that which exists inside you reflects outside you. The reason I am emphasizing taking responsibility for the entire universe as yourself, is because it is the only way you will be able to change the experience of yourself on earth. Surely some of you must have realized that the application of prayer, application of enlightenment, consummation of religion, spirituality etc. are all in essence different applications of the same search that exists within each being, which is a search for self. All beings are trying to achieve something, to reach for something outside themselves, which looks quite funny from the dimensions, for that part of yourselves which you are searching for is actually already here. You just have to become aware of it, and this is why we, the dimension are here. To assist each one to realize the application and words and statement of: “I am here!” Clearly each one of you must be able to open your eyes and look at existence in front of you. All apparently want to save the world. I am already able to say this is not possible. Purely from the starting point of the statement which is: Save the world. How are you able to save something that doesn’t need saving but requires awareness of self. And also how are you able to assist anyone in this reality if you have not yet assisted yourself. Let’s take an example for instance: place the world in it’s current status in front of you, with all the wars, political and religious control, manipulation and power, crime (the list can go on and on) and ask yourself: “Has my application, as well as those that have gone before me, of spirituality, ascension of enlightenment, dedication to religion and ‘God’, the followings of Buddha, through all these years practically assist me and the rest of creation to change into an expression of who we really are. If I have a look at the current status and creation of the world, the answer would be: “No, the situation has actually been worsening.” Have a look at religion, at beings who pray to an invisible God. Beings have trapped themselves in their application by praying to a God, dedicating themselves to mere information and not allowing themselves to expand as who they are. This a statement of placing responsibility outside self about the current status of the world. The exact same application occurs in spirituality. For beings separate themselves from apparent negativity that exist in the world, the destruction and pain that exists in the world. They keep themselves oblivious to the status of the world by focusing on only beautiful ethereal applications, such as love, grace, light, positivity and magnificence and within this application denying that part of themselves which is being reflected in the current status of the world. It is literally impossible to only live positively and denying negativity. For the more you try and live positively a resistance is created in negativity and within resisting negativity, negativity persists. Have a look, whether you pray to God or live spiritually, it is the same trap which hasn’t made a difference to the status of the world or any beings world and experience individually. Now this is where heaven come in to assist each one in 3D with practical methods of application and honesty with self in every moment, to realize who you really are as creation and created and creator. I will leave you with one question ( as I know all is on a search, a quest, a journey and a path of self discovery) and the question I am asking is: “Lets say who you really are stand in front of you saying to you: “The realization of who you really are is here, you are here, infinitely here. All you have to do to realize this and see, understand and experience yourself as creator, creation and created – is to give up and let go of everything you have come to know, learn and understand of the world and yourself. To give up and let go of everything you have defined yourself by, to find the ultimate answer to the question: ‘Who am I?’” To clarify what I mean by what you have defined yourself by – is if you are not able to let go of a certain application, or anything in your world for that matter, you have defined yourself by that you are not able to give up. You are in that saying: If I let go of this, if I lose this, I will lose myself. You are not able to lose yourself; you are able to lose yourself though, by the limited applications by which you have defined yourself by. It is time to start asking questions about your applications and what you have allowed and accepted as truths in your world and existence. To not be slaves and conform to any group, establishment or movement of any sort, but to individualise yourself and find who you are as a singular drop in the ocean of yourself. For you will realize the inevitable truth of the illusion of this reality and all that exist and come to see and realize that only I remain, the I within each one of us that exist beyond every thing, yet is here into infinity.